Hepatotoxicity of AAS may be correlated to individual susceptibility, genetic factors and polydrug use. So, during the period of the precontest preparation, the athlete should abstain from hepatotoxic substances such as alcohol, acetaminophen, nonsteroidal anti-inflammatory drugs (NSAIDs). Furthermore, he should use hepatoprotective supplements with meals, since supplementation provides medical prevention and ensures that liver enzymes are not that much elevated (20%). 1) Ursodeoxycholic acid (UDCA) is a bile salt mainly used in the formula of cholestatic liver disorders. It reduces cholesterol in bile and stones, reduces the excretion of cholesterol from liver cells and reabsorption in the gut. It is useful in cases of cholestasis, improves clinical symptoms of jaundice and liver biochemistry as well. 2) Glutathione (GSH) is a tripeptide consisting of three amino acids (glutamine, cysteine, glycine) and is the most powerful antioxidant in nature. It prevents oxidation of red blood cells, helps in detoxification of the liver parenchyma, strengthens the immune system, improves skin quality, brain metabolism and frequently used as an anti-aging agent. Glutathione’s action in the liver ensures the removal of the toxic waste products and neutralizes free radicals reactive oxygen compounds and heavy metals. Injectable administration of glutathione ensures its direct action, compared to the oral form, where part of it is degradated by gastric fluid. 3) N-acetyl-cysteine ?? (NAC) is a precursor of glutathione and used to increase the glutathione reserves in the body. NAC is also effective in reducing death rate and preventing permanent harm caused by acetaminophen poisoning. 4) Alpha-lipoic acid is a potent antioxidant, which has also been shown that restores glutathione and vitamin levels (vitamin E, C). Therefore, it’s a potent agent against free radicals and oxidative stress. 5) Silymarin (silymarin-milk thisle) is a hepatoprotective substance with multiple actions. It stabilizes the membrane of liver cells by preventing the entry of toxins into the body. It increases cell regeneration in the liver and stimulates the synthesis of proteins. 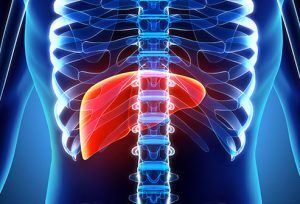 This results in increasing the production of new liver cells replace the old damaged. It helps prevent the depletion of glutathione in liver cells. Finally, it promotes the flow of bile from the liver to the intestine, which then cleaves the fats from food. Silymarin is used in several of the stages of hepatotoxicity by AAS as in pharmaceutical hepatitis in fatty infiltration of the liver and cirrhosis. It does not offer substantially though, in cases of cholestasis. 6) Liv-52 is a mixture of herbal preparation. It is effective in cases of drug hepatitis, non alcoholic fatty liver disease and cirrhosis. It protects hepatic parenchyma and promotES regeneration of liver cells. Its’ protective effect can be attributed to its diuretic effect too. 5. Ursodeoxycholic acid and bile-acid mimetics as therapeutic agents for cholestatic liver diseases: an overview of their mechanisms of action. Poupon R. Clin Res Hepatol Gastroenterol. 2012 Sep; 36 Suppl 1:S3-12. doi: 10.1016/S2210-7401(12)70015-3. (https://www.ncbi.nlm.nih.gov/pubmed/23141891).